Easily find leaks on commercial refrigeration systems & machines, or any other system using R-744. Pinpoint tiny leaks in high concentration CO2 environments. 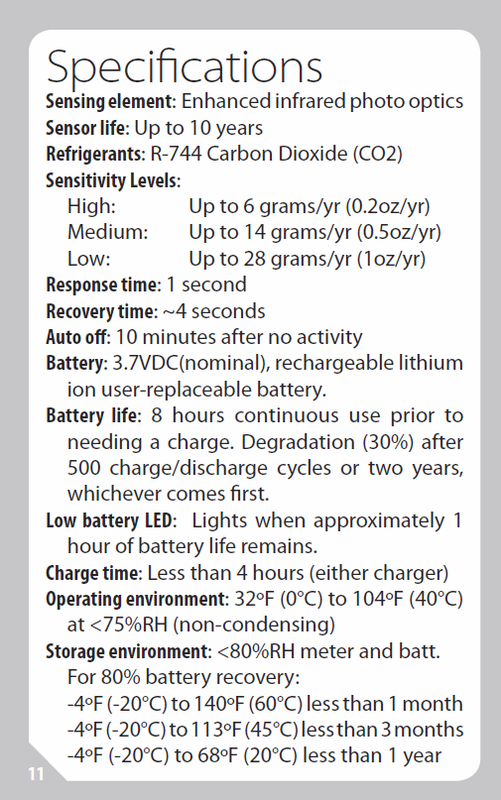 The SCL2 Carbon Dioxide Leak Detector finds leaks as small as 6 grams per year (0.2 oz/yr). It also has three sensitivity settings to keep false triggering to a minimum. Samples are pumped through the tip of the wand into the sensor within the SCL2 body. The sensor detects changes in concentration, not absolute concentration, allowing the SLC2 to differentiate CO2 concentrations higher than concentrations normally found in the ambient air.